Died: Unknown; mother arrested in 2015. Age at death: All were under 3. 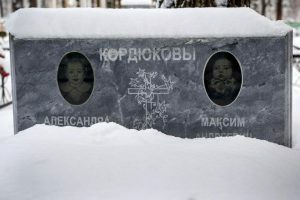 Sasha, Maxim, and Misha died before their brother Ilya was taken to the hospital, gravely sick from warfarin poisoning. Ilya survived, but the attempted murder tipped off police that his siblings’ deaths might not have been accidental. After exhumation and autopsy, it was determined that Maxim and Misha had both died from warfarin poisoning. Their sister Sasha’s autopsy was inconclusive, but like them, she died young and suddenly. Their mother, when arrested, claimed she had tried to cure her children, but that it was too difficult; so she wanted to kill them and start a new family with healthy children. Ilya, who recovered from the poisoning, is now living with his father. Perpetrator: Elena Kordyukova (Mother), arrested, charged with two counts of murder. Died: Approx. December 19, 2014. Perpetrator: Nadejda Voronova (Mother), held in a psychiatric ward. Died: August 25, 2014 (Body found). Cause of death: Abuse/Neglect (Put into a freezer). This four-year-old boy died when his drunken parents stuffed him into the freezer and left him there. 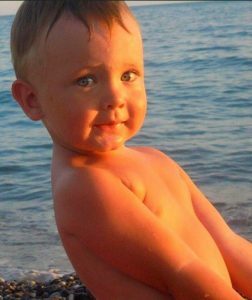 Perpetrator: Karp and Uliana Ulyanov (Parents), charged with murder.